You'll need to download the correct "client" version of VentriloPro for your operating system and processor type. If you are unsure of what processor type you have, just use the x86 version. Run the installer from wherever you saved the setup file. It should add a VentriloPro icon to your desktop. Run the Ventrilo software either from the icon on your desktop or from your start menu. 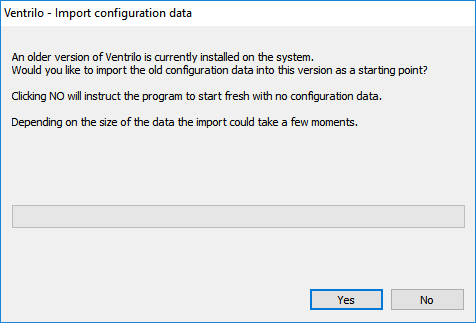 You will be greeted with a prompt to Import your Current Ventrilo Configuration. 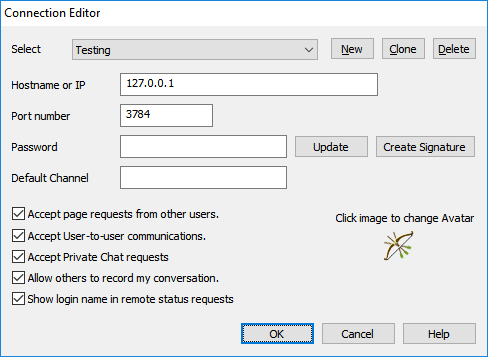 If you import the old settings, it is important to note that the VentriloPro Client can not connect to any existing Ventrilo 3 Servers. Click on the "User name" button at the top left of the client. Click on the "Server" button, right below the "User name" button you clicked on to setup your username.